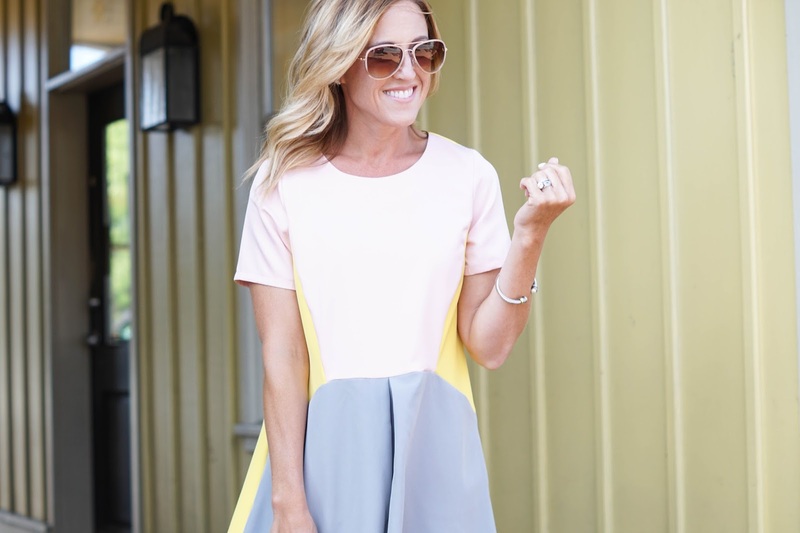 How amazing is this colorblock dress!? I love how different and unique this is. It definitely grabs attention. 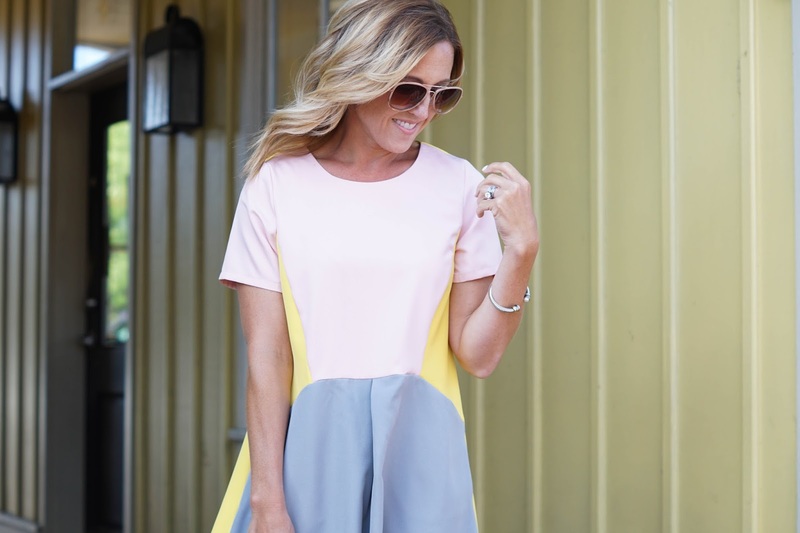 The short sleeves even make it work-appropriate. To find unique pieces like this we tend to shop at a variety of locations online that some people haven't had experience shopping at. So, today we thought we'd share a few of them and how the purchase/return process is. This site always makes people a little nervous, but we love it! The selection is huge and the prices are really affordable. They carry on-trend pieces and many times you can find almost identical pieces to designer items. The first tip is to make sure you are on the US site (us.shein.com) (They also have an International site.) When shopping on their site, some items are marked "Priority Dispatching" which means delivery time is just 1-3 days. Otherwise their shipping time is 3-8 days. Good news though is that US shipping is FREE! As for returns, you have 60 days. They offer a return premium of $1.99 when you purchase as a "just in case". Otherwise, a return fee of $5.99 is charged from your return. My final tip is to make sure you read all the reviews of an item as sizing and fit can be different. Along with Shein, when you go to their site, make sure you are on the US site. (us.asos.com) This is another favorite site for finding unique, affordable items. Shipping is FREE over $40 and just $4 otherwise. Great news is that returns are FREE. Another fabulous place to find unique and affordable pieces. The one draw-back of this site, is the shipping time. Standard shipping is FREE but takes 12-18 days. For returns, customers are responsible for return fees. Be sure to closely read all reviews about sizing so that hopefully you won't have to worry about returns. It is so much easier! I love shopping online - the selection is so much greater! Thanks so much! And it's so comfortable! hehe An added bonus! This dress is adorable. Love the color combinations on this!